Need a present for someone who loves fizzy sweets? We’ve got just the thing: our very own fizzy sweets gift jar! 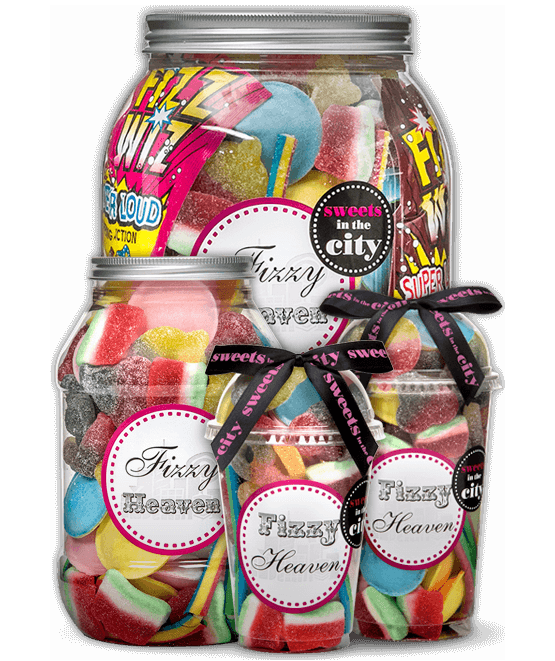 This yummy selection of mixed sweets is the perfect sweet gift if you're looking to give a certain someone's taste buds a little kick! 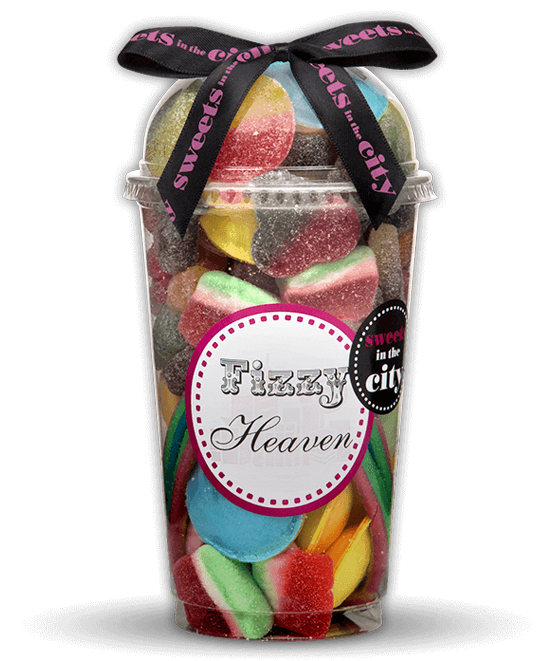 Including everything from fizzy peaches to flying saucers and juicy watermelons, This bumper-sized fizzy sweet jar brings a delicious taste sensation that is certain to delight sweet-toothed fizz lovers of all ages! 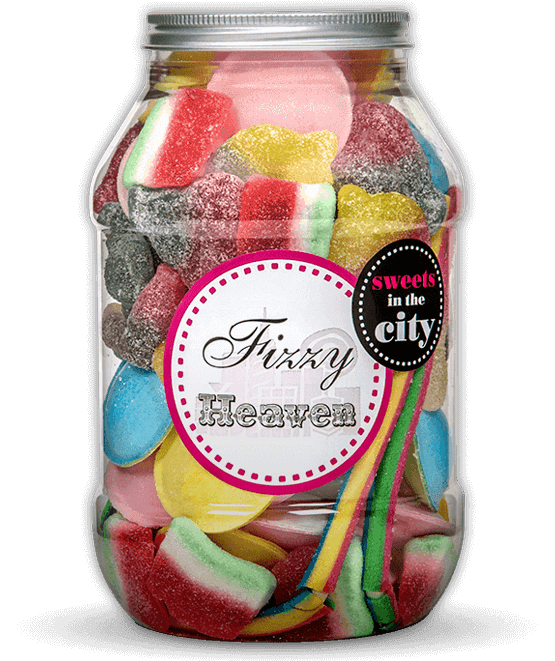 Available in an array of options and sizes from our Shakes and Jar of Joy ranges, and with the ability to customise with your own personalised label, you will not be disappointed with our fizzy sweet jar! 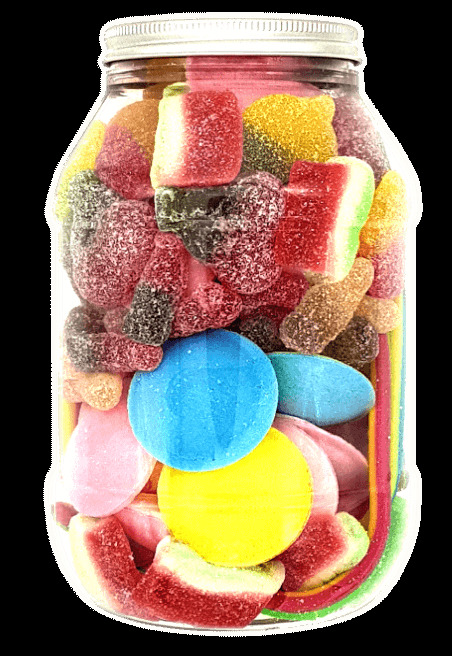 Product 1: Sugar, glucose syrup, water, pork gelatine, acids: E296, E334; flavourings, colours: E100, E120, E141, E150d, E160c, E160e. 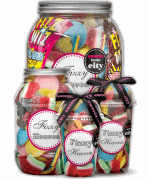 Product 2: Glucose syrup, sugar, corn starch, beef and pork gelatine, humectant: glycerol; acids: citric acid, malic acid; gelling agent: pectins; fruit and vegetable concentrates (safflower, lemon, radish, pumpkin, apple, tomato, blackcurrant, carrot), flavourings: E100, E120, E133, E171. Product 3: Sugar, dextrose, maize starch, acid: tartaric acid; acidity regulator; sodium hydrogen carbonate; flavourings, colours: E100, E132, E162. Product 4: Sugar, glucose syrup, WHEAT starch, modified maize starch, acids: E260, E270, E296; modified potato starch, sodium hydrogen carbonate, flavouring, colours: E100, E120, E141. Product 5: Sugar, glucose syrup, WHEAT starch, modified maize starch, acids: E260, E270, E296; modified potato starch, sodium hydrogen carbonate, flavouring, colours: E100, E120, E141. Product 6: Sugar, glucose fructose syrup, corn starch, invert sugar syrup, WHEAT starch (contains GLUTEN), palm fat, WHEAT flour; acids; malic acid, citric acid, tartaric acid; humectant: glycerol; potato starch, gelatine, flavourings; emulsifier: E471; acidity regulator: potassium citrates; salt; fruit and vegetable concentrates: blackcurrant, carrot, colours: E100, E120, E133, E171. 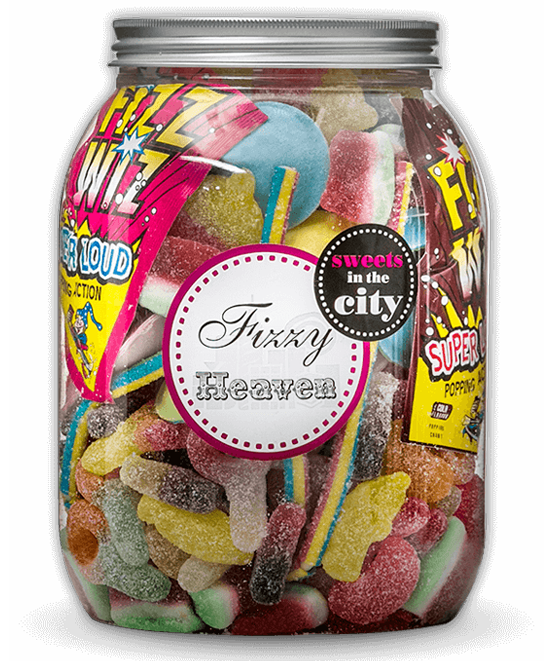 Product 7: Sugar, glucose syrup, water, pork gelatine, acid: E330; maltodextrin, flavouring, colours: E100, E120. Sugar, glucose syrup, WHEAT starch, modified maize starch, acids: E260, E270, E296; modified potato starch, sodium hydrogen carbonate, flavouring, colours: E100, E120, E141. Perfect gift for a friend! Size was much bigger than expected! Great customer services and great purchase. Would 100% recommend them for gifts. Amazing brilliant quality and arrived quick ! We 100% recommend !